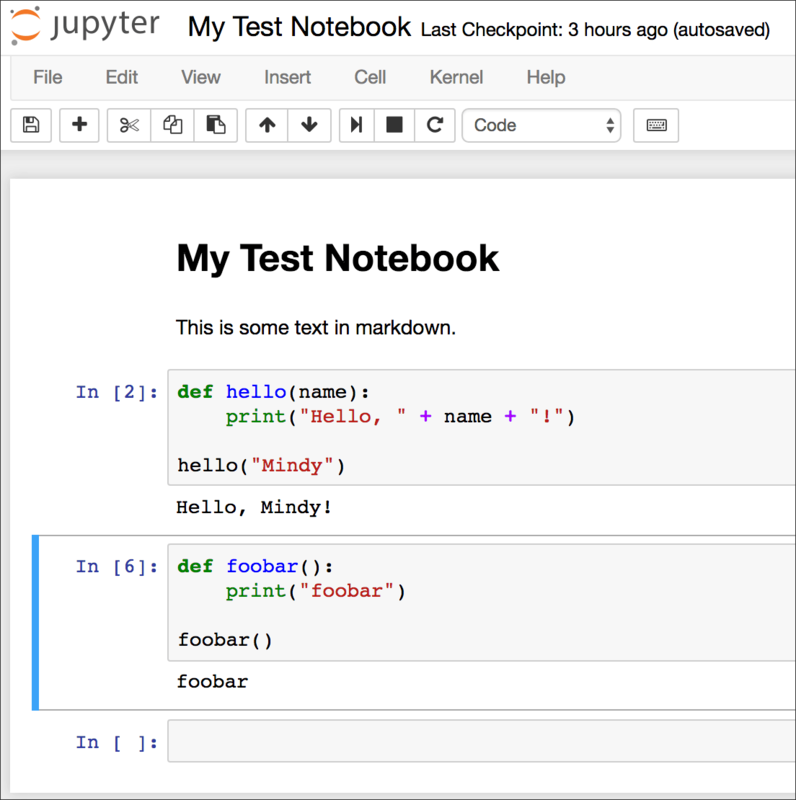 I previously wrote about Jupyter Notebooks here. Activate your virtualenv (if using one). A new window would open in your default web browser, and there were all your Jupyter files. But after the MacOS update, instead we got an execution error: localhost doesn’t understand the “open location” message. And the browser window did not open. The way to fix it (do it once) is here. instead of the string the author provided. To install: Install (instructions at jupyter.org). Note that pip or pip3 install works. It’s on that page, after the Anaconda part. You do not have to use Anaconda, which installs a lot of extra things. You can install into a virtualenv. On Mac OS and Chrome, a new browser tab opens automatically, and you’re in the same folder where you were in the Terminal. If you have someone else’s notebook or a folder full of notebooks, you can toss them into that folder using Finder, just like any files. Above: Two folders and one notebook file. Below: A notebook, open for work. Create a new notebook file: The New button is on the far right side. The thing I find hard to remember: You have to press Shift-Return to run the code in one of the boxes, or to save markdown you wrote. On the Cell menu, there’s an option to Run All. Menus and icons: Very self-explanatory. Explore them. File menu: “Revert to checkpoint” lets you roll back to the previous save. File menu: “Close and Halt.” Saves the current notebook file and closes it. To quit Jupyter, go to the Terminal and Control-C (not Command).